If your pup has particularly itchy and sensitive skin, then you might not want to use the same dog shampoos everyone else is using. Then again, you probably know that by now seeing how you’ve landed here of all places. Here’s the gist of it – dog shampoos tend to vary in composition across a pre-defined chemical spectrum, some are harsher on the skin and some are smoother. Depending on how they’re formulated, these shampoos interact with your dog’s skin differently, thus the need to take all the available information into account before settling on a purchase. 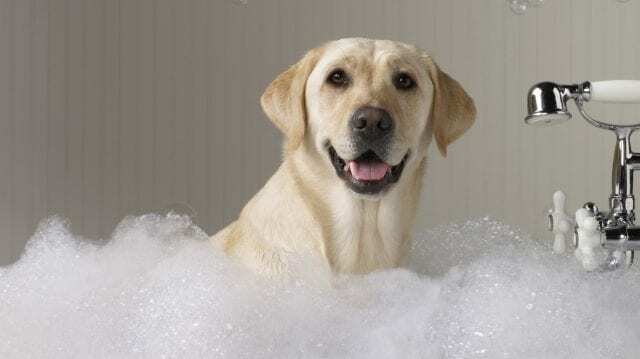 To save you all that trouble, we put together a list of the ten best dog shampoos for itchy and sensitive skin in an effort to save you time and resources. 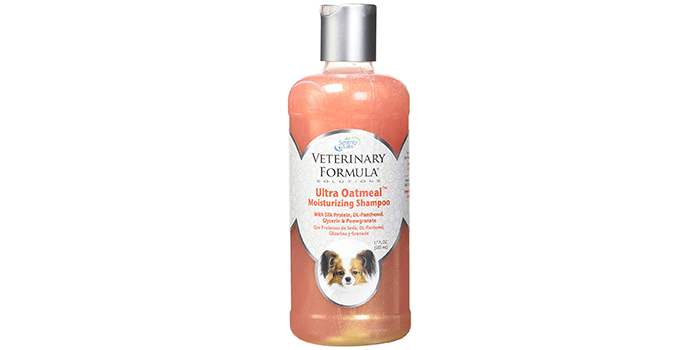 Uniquely blended with all-natural, high-quality ingredients including silk protein, pomegranate, glycerin, and DL panthenol, this Oatmeal Moisturizing Shampoo from SynergyLabs aims at moisturizing and soothing your pet’s skin, while eliminating itchiness and dryness. Featuring fragrance extenders that are patented, it is pH balanced and extremely safe for your pet. Free from sulfates and harsh chemicals, not only is it ideal for pets with sensitive, irritated skin, it will also leave your pet with a shiny, soft and clean coat. 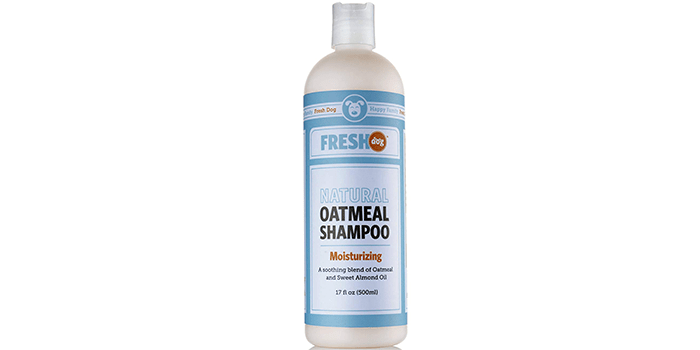 Suitable for dogs, cats, puppies, and kittens, the Fresh Dog Natural Oatmeal Shampoo is uniquely formulated for pets with dry itchy and irritated skin. Featuring a blend of natural elements including sweet almond oil and oatmeal, it helps in conditioning, moisturizing and protecting the skin, leaving your pet with a soft, fluffy and shiny coat. Free from artificial colors and dyes, parabens, GMO’s synthetic fragrances, phthalates, and triclosan, it is extremely effective and safe for your pet. 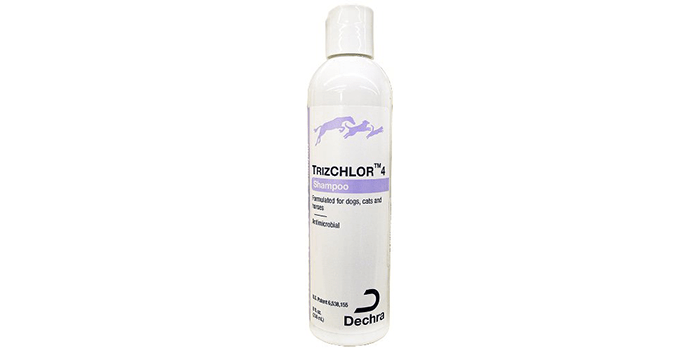 Formulated not just for dogs but cats and horses as well, the Dechra TrizChlor 4 Shampoo is by far one among the best anti-fungal shampoos available in the market today. Producing exceptional results this shampoo helps in providing quick relief from all kinds of skin infections including dry and itchy skin. Including all natural, premium grade ingredients, it helps in restoring oils and supports healthy skin. 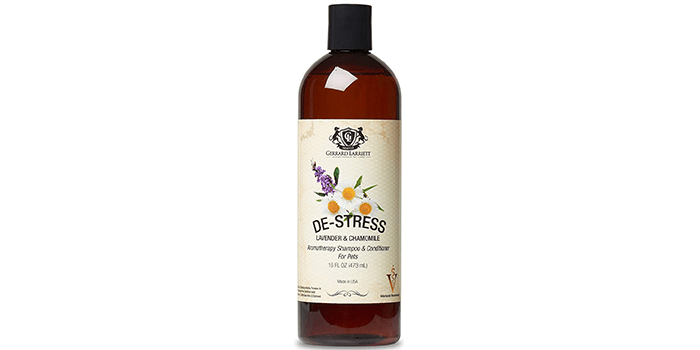 Crafted especially for animals who suffer from conditions that react to chlorhexidine, this medicated shampoo is nourishing, cleansing and highly effective. 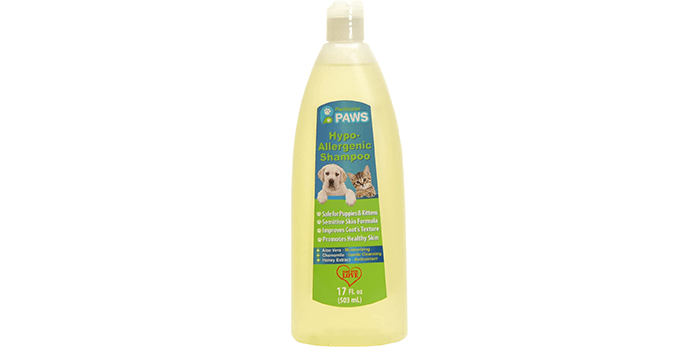 Crafted to treat allergies, the Particular Paws Hypoallergenic Dog and Cat Shampoo features all-natural ingredients that help to remove allergens from your pet’s skin. Safe for your puppy dog too, this shampoo includes aloe vera, chamomile and honey extracts that moisturize, cleanse and protect the skin effectively. Not only does it block allergies and eradicate dry irritated skin, but it also improves the texture of your pets’ coat, leaving it soft, well-nourished and shiny. 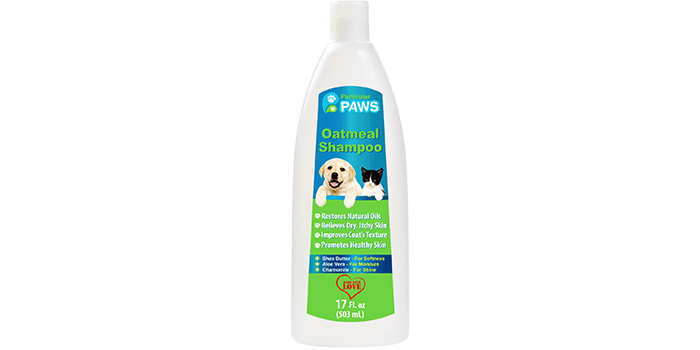 Particular Paws Oatmeal Shampoo is an all-natural pet product that helps soothe the skin while eliminating dryness and itchiness. Leaving your pet smelling subtle and clean, this shampoo helps in the restoration of the pH balance of your pet’s skin while getting rid of unwanted infections. Non-toxic, free from harsh chemicals and safe for your dogs and cats, this shampoo is uniquely formulated with Shea butter, Aloe Vera and chamomile that soften and moisturize the skin, restoring all natural oils, while leaving the coat with a beautiful shine. Gerrard Larriett Aromatherapy Pet Care Shampoo & Conditioner is a premium grade medicated product that is uniquely designed to treat and heal dogs who suffer from extra-sensitive, dry and itchy skin. Recommended by veterinarians and experts, this shampoo is all natural and put together with premium quality, safe ingredients including Aloe Vera and oatmeal. 100% biodegradable, it is free from harsh chemicals and does not contain any parabens, dyes or added fragrances. 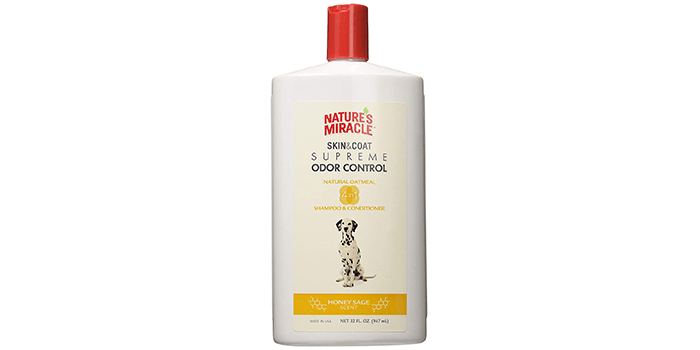 Leaving your pet smelling pleasant and sweet, Nature’s Miracle Supreme Odor Control Natural Oatmeal Shampoo & Conditioner comes crafted with a blend of odor neutralizers and deodorizers that work wonders on tough unpleasant coat odors. Featuring a high content of oatmeal, it helps in relieving itchy and sensitive skin, while keeping it nourished and moisturized. Including natural cocoa and essential pet skin oils, this shampoo and conditioner cleans your pet’s skin and fur while conditioning it and reducing dry skin. Free from soaps, dyes, and parabens, this product is safe to use on your pets and can be used along with other tick and flea lotions. 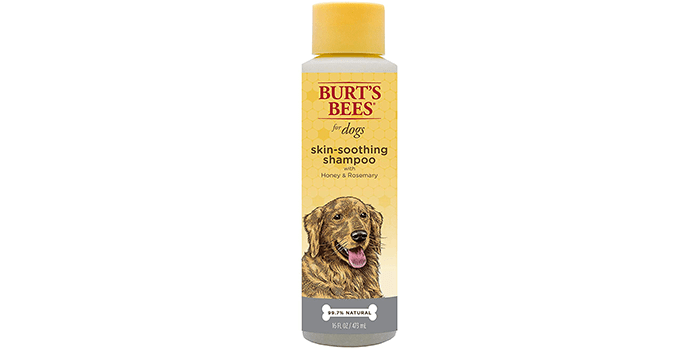 Crafted with the highest quality ingredients and 100% safe for your pet, Burt’s Bees for Dogs All-Natural Shampoo includes honey and essential oils that help ease irritation and dryness. Not only does this shampoo clean and soothe your pet’s skin, but it also softens the fur, while conditioning it and leaving it with an impressive shine. Thanks to its special pH balance and mild formula, it is suitable for all dogs and puppies as well. Free from harmful chemicals, fragrances, colorants and dyes, and sulfates, this shampoo can be used on a regular basis for dogs with sensitive skin. 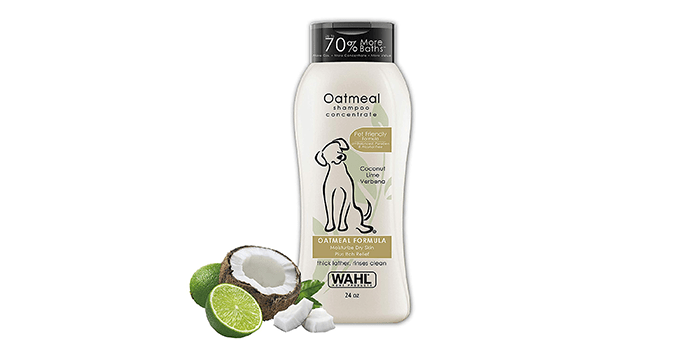 Formulated with oatmeal as its primary ingredient, Wahl Natural Pet Shampoo comes blended with all-natural plant extracts with a pleasant fragrance of coconut and lime. Ideal for dogs who suffer from extra sensitive, itchy and dry skin, this shampoo helps to nourish and moisturize the skin, relieving it from any discomfort. Thanks to its special formula, it also leaves your pets fur feeling soft and helps in the reduction of shedding. Free from harmful chemicals including parabens and alcohol, this shampoo is safe for your dogs and is PEG-80 free. 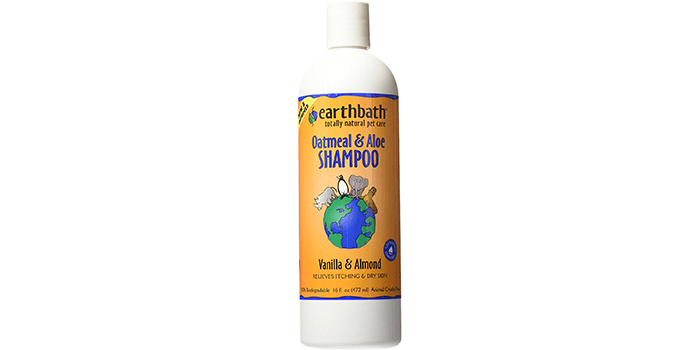 Including a unique blend of oatmeal and aloe, the Earthbath All Natural Pet Shampoo is a premium quality 100% biodegradable shampoo that features a pleasant vanilla and almond fragrance. Free from soap, harsh chemicals and toxins, this shampoo is safe, mild on the skin and extremely effective. Designed to treat irritated, sensitive and itchy skin, it provides relief while moisturizing and nourishing the skin and coat leaving it soft and shiny. Overall, it is also one of the smoothest dog shampoos the market has to offer.